Originating on the steppes of central Asia, Woad, also known by its Latin name Isatis Tinctoria, has been cultivated throughout Europe and the Mediterranean for millennia. Though its seeds have been found in French Neolithic sites, the first evidence of it being used in the dyeing of cloth comes from ancient Egypt. Later evidence of Woad dyes come from Roman, Viking and Medieval sources and sites. If I ever meet anyone who isn’t familiar with this plant I tend to refer them to Braveheart which nearly everyone has seen. Once I mention Mel Gibson painting his face blue it tends to flip a switch for people, though there’s some debate over whether the Britons ever used Woad for this purpose. It’s hard to believe that these obviously green leaves contain such a vivid blue pigment and I wonder how the first people actually discovered it. So many of our past discoveries seem to be purely accidental so I don’t doubt that it was the same with Woad. However there are quite a few steps in the extraction process which makes me wonder how on earth someone could have stumbled upon it. 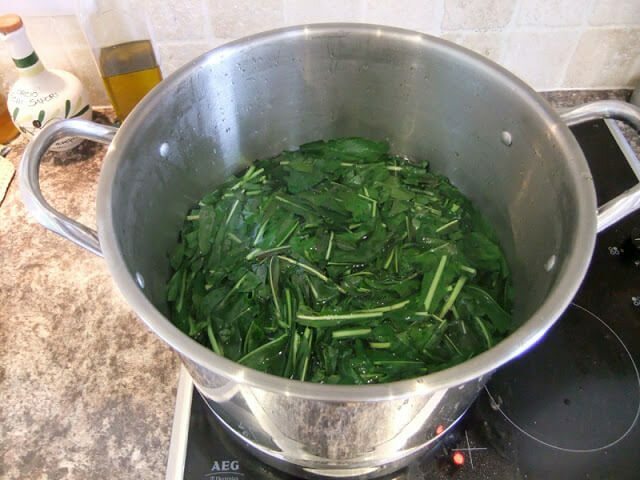 To extract Woad you need to first infuse leaves in nearly boiling water – preferably soft water such as rain water. After ten minutes the leaves are removed and squeezed of any juice before being discarded on the compost pile. The resulting liquid is strained and then soda ash is added which starts the process of extraction. 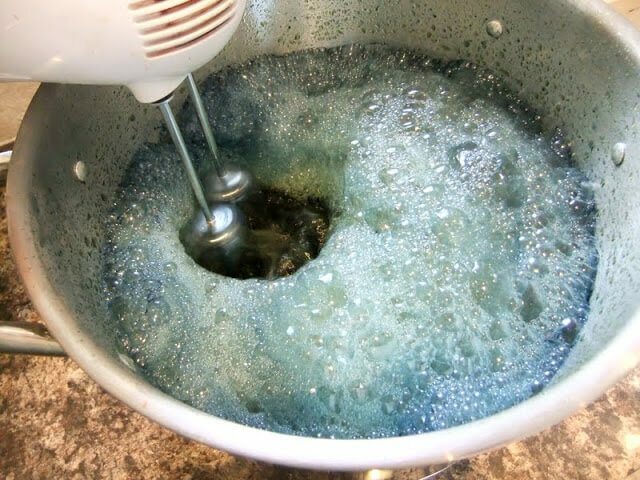 Soda ash is a type of carbonic acid which can be sourced from the ashes of various types of plants – it’s also commonly used as a water softener. Through a process of aeration, settling, rinsing, filtering and drying you’re left with a natural blue pigment which can be stored and used indefinitely. For more information on the process please visit Woad.org.co.uk. Recently I’ve come across a few people who have asked me about the use of woad in skincare and whether it is safe. My answer is that Woad is a non-hazardous natural product that is completely safe to handle and use externally. In fact the chemist who conducted the safety assessments for my products actually allows me to use more than ten times the amount that my soap actually contains. There is also some misinformation on the internet on whether Woad will stain your skin. I can imagine the deduction work in this assumption: Since Woad is used to dye cloth wouldn’t it also colour anything else it comes into contact with? I’d like to assure you that Woad as a powdered pigment colours only the soap. It works in much the same way as mineral pigments and suspends as tiny granules only giving the illusion of dyeing the soap. To use woad as a dye, additional chemicals such as Alum and Spectralite are required to get it to ‘fix’ to the cloth or wool. Another positive point on woad is that it breaks down much more easily and naturally than commerical oxides. This property makes this product a much more environmentally sensitive alternative to micas, oxides and other laboratory-created soap colouring agents. In short, Woad is safe, won’t stain your skin and is a lovely and authentic natural colourant for use in soaps. I enjoy using it and growing it in my own garden and would encourage anyone else who is interested in Woad to try it out as well. Hey, I have a question, can you use dried herbs to prepare a blue woad pigment or is it necessary to use fresh leaves? I’ve never used dried leaves but can’t see why you wouldn’t be able to use them. You’d probably just need half the amount by weight of fresh. That’s so funny! I am coming back from a trip to France where I visited my son in Toulouse, and it’s called “Pastel de Toulouse” there! I bought some yarn, some hand cream (pastel blue, yes!!!) and some soap. Just couldn’t get enough of those items bearing my preferred color… 🙂 I am amazed to learn through your website that the plant is illegal to cultivate in the States, wow! Planting woad is illegal in the US, so be careful about that. Hola Tanya. Muy interesante la información, muchas gracias por tu buena explicación. Tanya. I'm thinking about planting part of an acre of Woad because it's invasive here in British Columbia, CANADA (there is a lot of it on this 30 acre property). 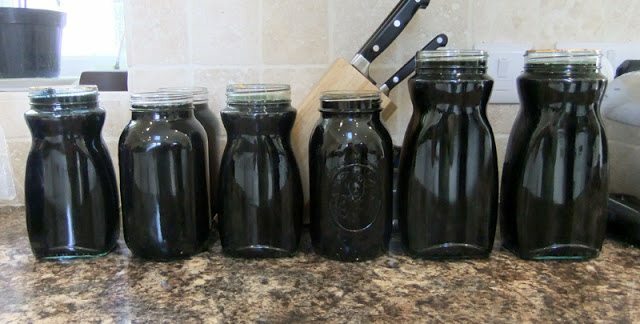 I'm wondering Y how much dye I can get from X how many plants? Or specifically, how much dye would I get from a solid acre of planting? Also, please delete the SPAM guy above me. Hi Gloria, I don't think that soda ash is freely available in the shops here in the UK but you can find it online. The chemical name for it is: Sodium Carbonate / Na2CO3. I've never heard of using this extraction method with anything other than woad/indigo but you could do some research? I'd be fascinated to hear what you come up with! I have grown woad for a few years now. It is a biennial, forming a rosette of greens the first year then flowering a brilliant yellow on tall stalks the next. When allowed to form seeds that drop to the ground, the process begins again for another year. I never knew how to use the leaves to make dye. Thank you! You're welcome Fairegarden 🙂 You can extract woad from first year plants by cutting leaves from the plant in summer. The plant will then grow on to produce the flower/seed spike the next year. I understand that Woad is invasive in parts of the USA – it may be that you too have some growing in your area? That makes sense since the second year stalks and seed heads are commonly used by florists. If you do end up growing it, make sure it's in a place where you don't mind it spreading out…though it's a biennial, it seeds all over the place and can get a bit invasive. Maybe it might do to look for wild sources first? That's what I would do if I were just using it for personal projects or experimentation. That is so interesting! I've never heard of woad. Thanks for sharing your knowledge! What a genius person!I humbly thank you for sharing such a kind of knowledge with us! It’s really interesting! Have been very interested in Woad but it is classified as an invasive plant. Have you had any problems with that? Would love to see some wool yarns dyed with woad…. Woad is considered invasive in some parts of the world including the US however it's a native plant in Britain 🙂 If you find the right type growing in your area it would be an easy thing to collect it for dying your own wool and cloth. Could make for some really interesting Quilting conversations! Fascinating Tanya. It reminded me of a lady who comes to the embroidery exhibitions, who dyes solely in indigo – a rather similar colour. I love hearing about people who go out of the way to make things themselves – the lady with the self-dyed silk must be really interesting 🙂 Also, you could probably chat to her about Woad the next time you meet. Woad is actually a form on indigo, although the concentration is far less than the indigo sourced from other types of (tropical) plants. Do you only grow the woad for the dye then Tanya?? 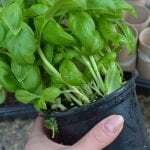 Have you ever thought about looking into it's other uses so as to get more out of the plant itself?? How easy is it to grow?? Is it an annual plant and does it grow outside?? 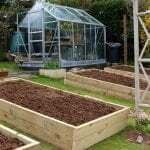 What sort of soil/climate conditions does it need? 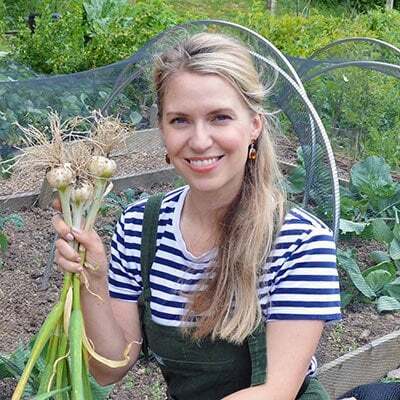 That's right…the rules for using some self-sourced botanicals in beauty products is that you have to grow it yourself for that particular purpose. Even if woad grew wild on the Isle of Man, which I'm fairly sure it doesn't, I wouldn't be able to harvest it for use in sale-able products. We must not have woad in Virginia, I wonder if it was ever used as a pigment for early paints? It is a real nice deep color. You'll have woad in Virginia Sunnybrook…in fact I believe it's classed as an invasive weed across most of the US. It has been and still is used to stain wood in some parts of the world. It is said to keep mold at bay when used on wood. And I have read of it being used to paint by colouring egg shells blue and then making acrylic paint with the blue died shells. I haven’t tried it though. So I’m not shure it actually works. Actually the’ve discovered that the blue paint in the Book of Lindisfarne and the Book of Kells was made from Woad. How did you learn making it? Is it a family tradition? I taught myself some years ago though I don't doubt that family members made it in the past. The days of modern convenience are still relatively new to people and I have photos of (long deceased) family members living in log cabins well into the 1900s.